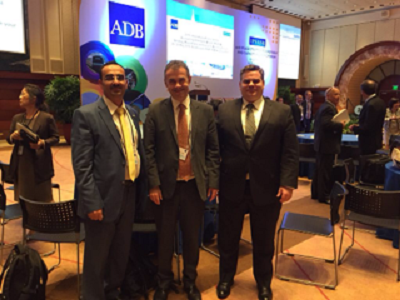 Manila - The International Arab Society of Certified Accountants (IASCA) participated in the 'International Public-Sector Accounting Standards Board (IPSASB) Strategy Roundtable and Capacity Building Forum' held at the Asian Development Bank HQ, Manila. 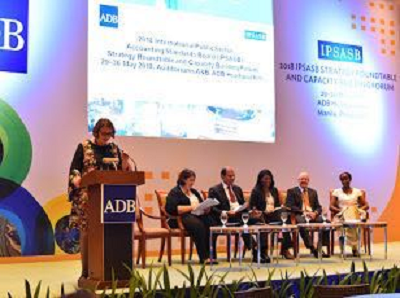 The Manila conference and roundtable was an opportunity for government officials from ADB’s developing member countries (DMC) to contribute to the IPSASB standard-setting process and also enhance their public-sector accounting capacity, including knowledge of accrual-basis IPSAS and formulating plans to further improve their respective government accounting framework to be more transparent and accountable. IASCA was represented by member of the Board and representative of IASCA in Palestine Mr. Jamal Melhem who presented IASCA’s regional role in promoting the adoption and implementation of IPSAS in the MENA region for governmental accounting and reporting and highlighting IASCA's activities including translation of IPSAS, developing education training materials and the advocacy role it plays with the other stakeholders to achieve their objectives and assist in good governance of public financial management. Over a 100 senior government officials from more than 50 countries, engaged in public sector accounting and/or financial management either from the ministry of finance, office of auditor general and controllers participated in the technical discussions, and shared their knowledge. During the meeting, participants discussed the strategy plan priorities, themes and activities for achieving the desired objectives over the next 5 years. 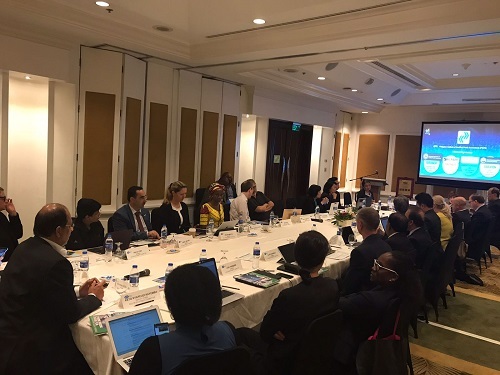 Participants also shared knowledge of success stories pertaining to countries that adopted and implemented the Accrual basis of accounting and IPSAS. Challenges, and how to overcome them, were discussed in relation to countries moving towards adoption of IPSAS in their accounting and reporting system. HE Dr. Talal Abu-Ghazaleh, Chairman of IASCA, praised the Society’s supporting role, since its establishment in 1984, in developing accounting and audit professions in the Arab world. 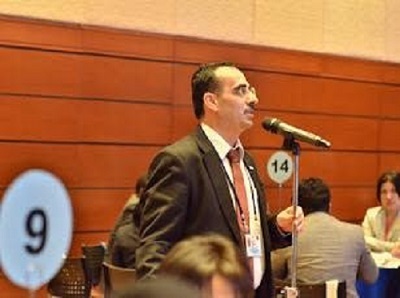 IASCA representative Milhem who was selected as a member of the IFAC committees dealing with the global development of the profession (Public Accounting Organization Development committee, PAODC for the 2018-2021) also attended the committee meetings held in Manila on 31st May and June 1, 2018, enabling IASCA to contribute to the profession’s development worldwide and present the professional developments in the Arab region to IFAC members from other regions. IFAC is the global organization for the accountancy profession dedicated to serving the public interest by strengthening the profession and contributing to the development of strong international economies. IFAC is comprised of over 175 members and associates in more than 130 countries and jurisdictions, representing almost three million accountants in public practice, education, government service, industry and commerce. The International Public Sector Accounting Standards Board (IPSASB) is one of the independent IFAC standards-setting boards working to improve public sector financial reporting worldwide through the development of IPSAS, international accrual-based accounting standards, for use by governments and other public sector entities around the world.